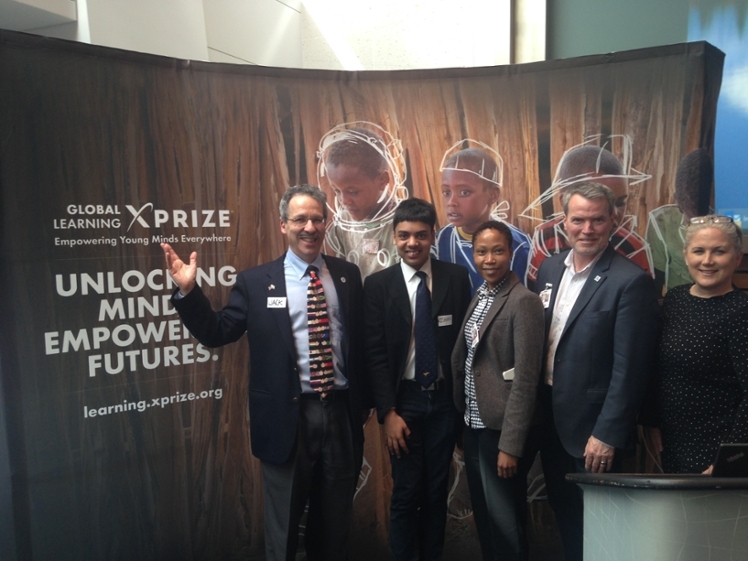 The Global Learning XPRIZE is a $15M competition to develop an open-source Android tablet app that enables children ages 7-10 without access to formal education to learn basic reading, writing, and arithmetic without adult assistance. April 2015: 198 teams from 40 countries registered. January 2017: 38 teams from 17 countries on 6 continents submitted English & Swahili apps. April 2017: XPRIZE judges chose 11 Semifinalists, including RoboTutor. May 2017: XPRIZE pilot-tested Semifinalists' Swahili apps on local children outside Dar Es Salaam. June 2017: Semifinalists presented to the international panel of judges who will pick up to five $1M Finalists. September 2017: XPRIZE names RoboTutor as one of five $1M Finalists. 2017-2018: XPRIZE will conduct an independent controlled evaluation of the Finalists' Swahili apps with 4000 children in nearly 200 villages in Tanzania, pre- and posttesting each child individually. 2019: XPRIZE will award $10M Grand Prize to the team whose app achieves the highest total learning gains, counting reading 60%, writing 10%, and numeracy 30%.